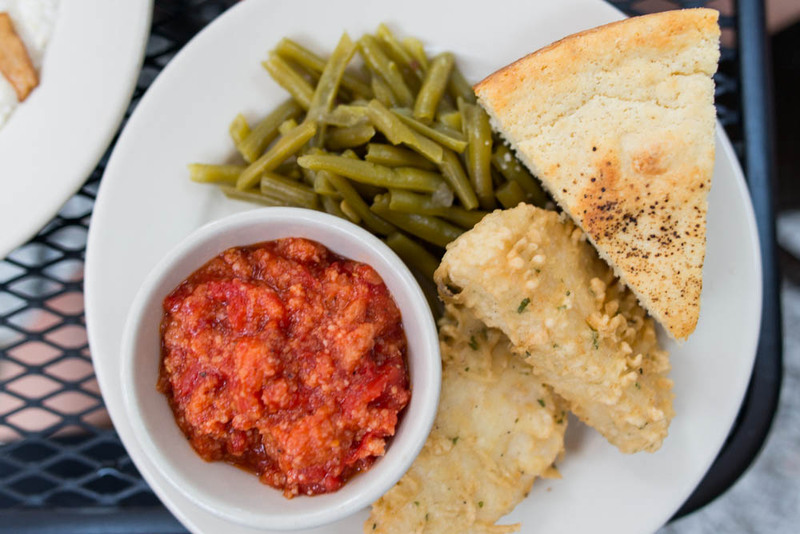 A long weekend in Charleston means a long weekend full of delicious meals, from our very first in the morning to the last. 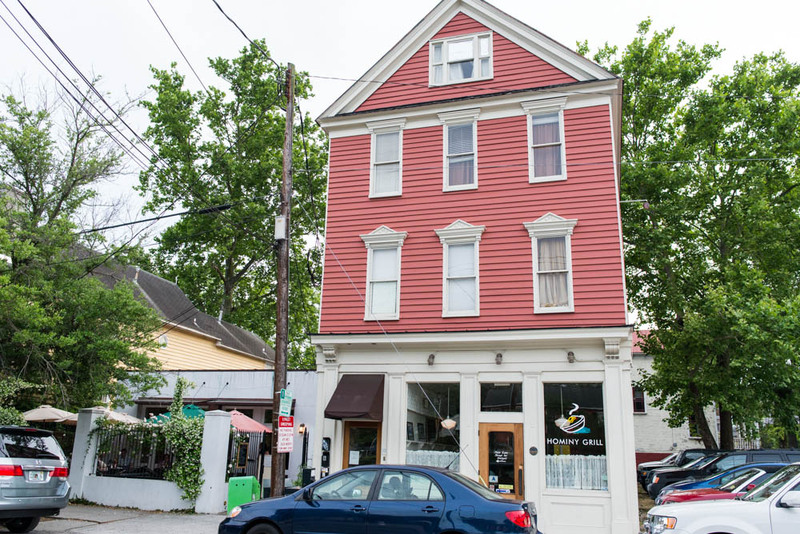 I have long heard tales about the Southern city’s culinary scene and during the research phase, I uncovered so many spots that I had to pick and chose strategically. Minus one scheduling snafu, I was able to curate a rather diverse group of eateries for a mere 3.5 days. 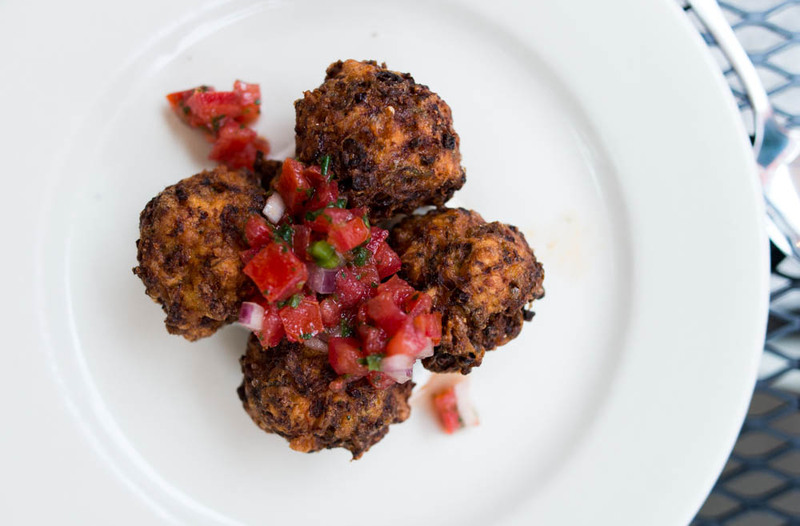 Our very first proper meal in town was at Hominy Grill, a traditional Southern spot and a Charleston favorite because it’s important to start with a classic. 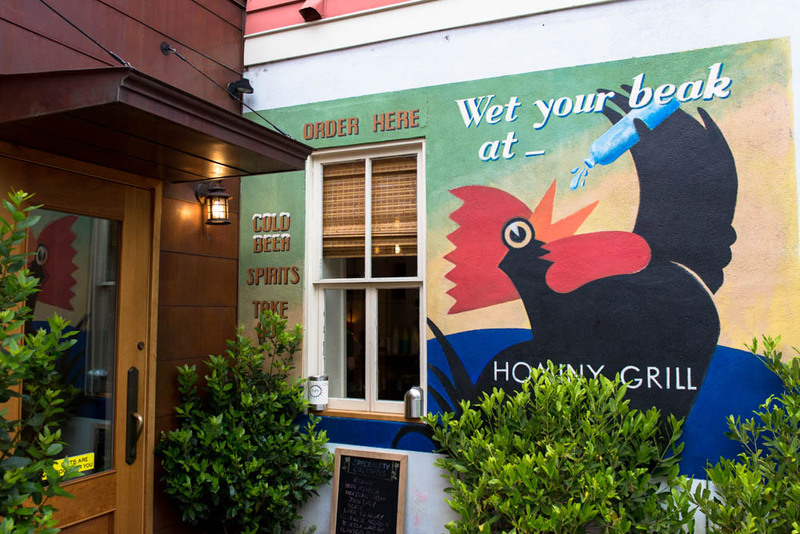 Graduation weekend at College of Charleston and Mother’s Day coincided when we were in town and brought large groups to Hominy Grill, located right off campus. Instead of ducking inside and joining the celebration, we opted to dine al fresco in the gentle Southern heat. 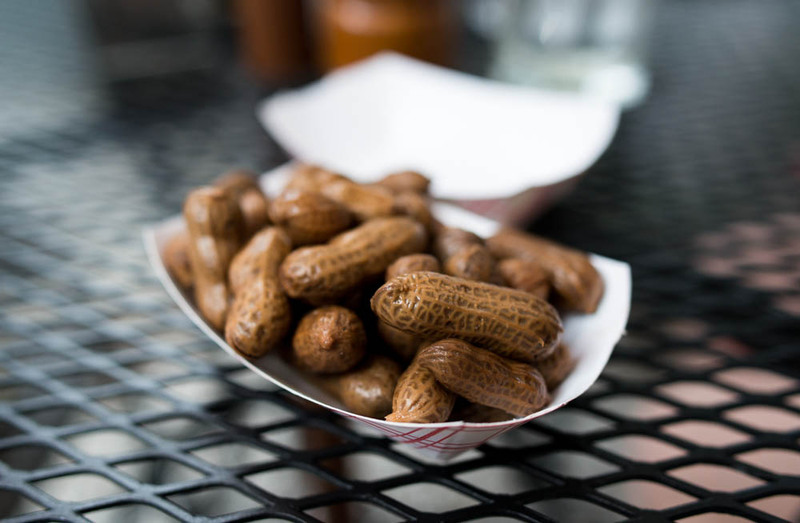 Our waiter asked if we would like some complimentary boiled peanuts before our appetizers. What kind of question is that? Of course we do! 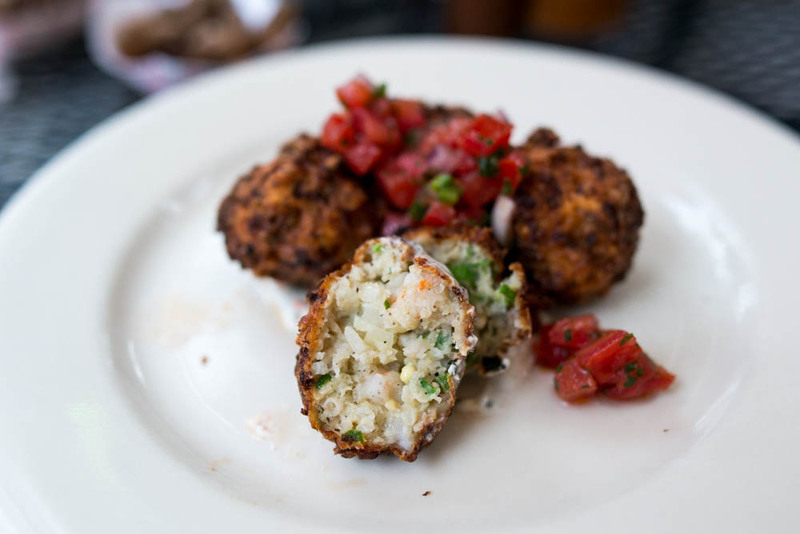 These salty treats were gone within a matter of minutes, leaving us licking our fingers wishing for more. 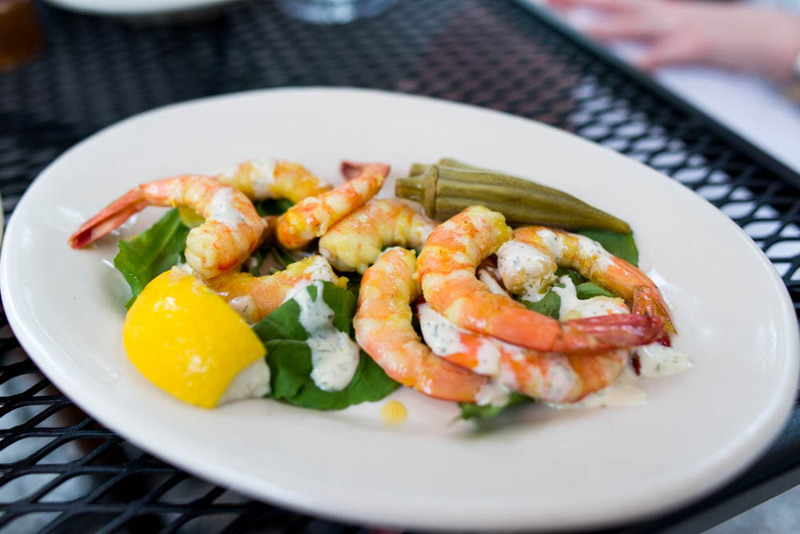 Quarter pound of pickled shrimp with lemon dill vinaigrette was plenty to share for two people. Light and refreshing, the plump shrimp came pre-peeled, making it easy for us to devour these. To balance out the healthy pickled shrimp plate, we complimented it with okra and shrimp beignets with salsa and cilantro-lime sour cream. These were crispy on the outside and tender on the inside. A dab through the bright cilantro lime sour cream, these were pretty delicious. Since we were in the South, the classics had to make an appearance. The Charleston Nasty Biscuit was anything but. A tall sandwich that almost defied gravity, the biscuit sandwich was actually a little less daunting than it sounded. No light meal though by any means. 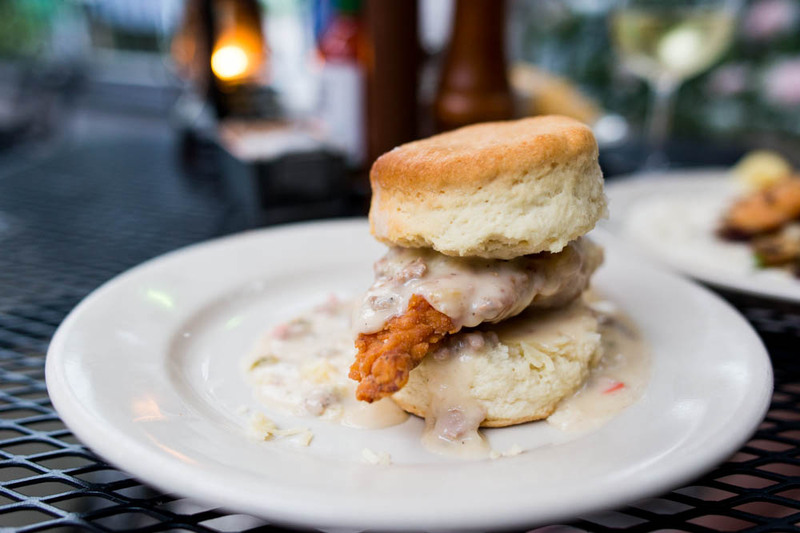 A piece of golden fried chicken smothered with sausage gravy and cheddar was tucked in between flaky biscuit. Honestly, anything better than fried chicken biscuit? 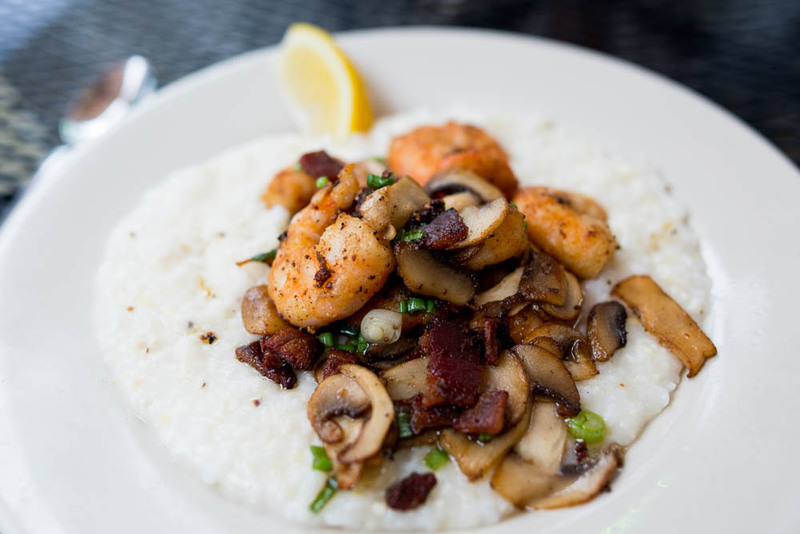 Shrimp and grits was another Southern classic that we couldn’t and wouldn’t pass up. 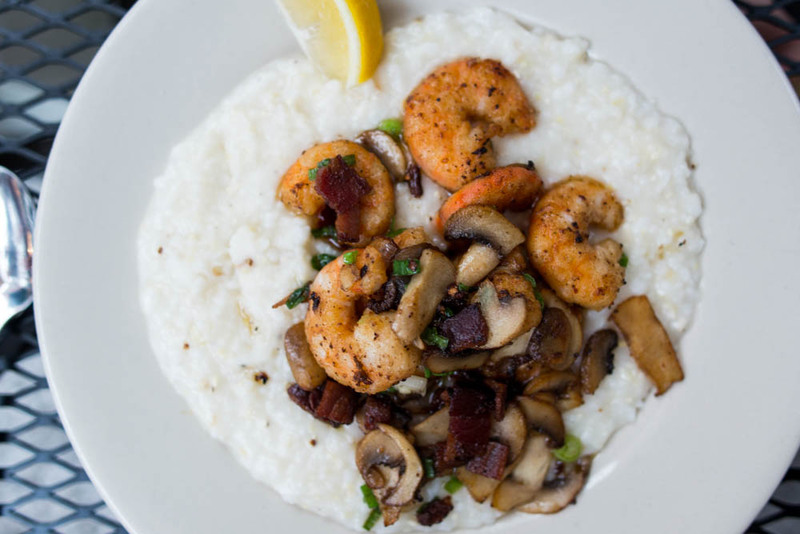 A generous portion of creamy cheesy grits was served with a medley of plump shrimp, mushrooms, scallions and bacon. Lighter than I expected, these were a good reprieve from the Nasty Biscuit. The blackboard next to our table listed out the day’s special vegetables and sides. We sampled a trio, tomato pudding, fried grits and green beans, which came with a side of corn bread. My favorite was the tomato pudding, a sweet rich combination of tomato and sweet cornbread that had been slowly baked. We polished off pretty much every last bite on our plate and were determined to hand back the dessert menu set down by our waiter. 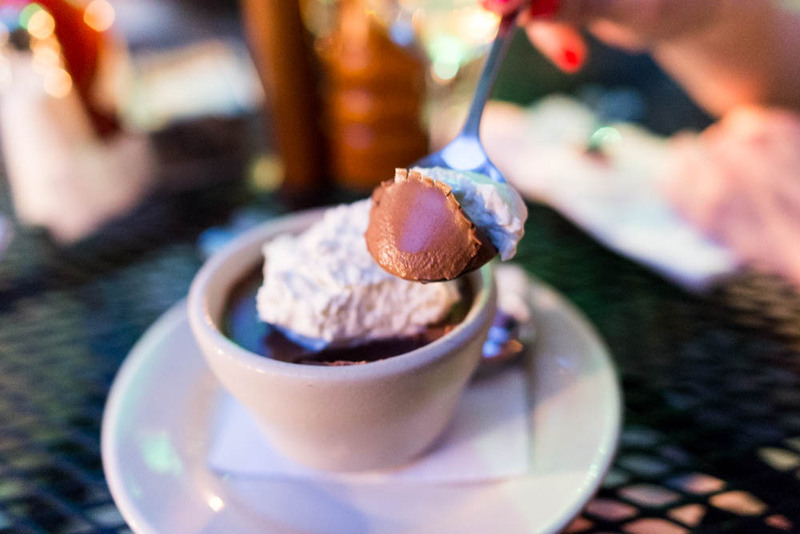 My resolve was weak though because all he had to say was chocolate pudding and I was hooked. It didn’t hurt that this was named by Alton Brown as one of his favorite things he had ever eaten. I am happy to say, Alton Brown has some fabulous tastes. 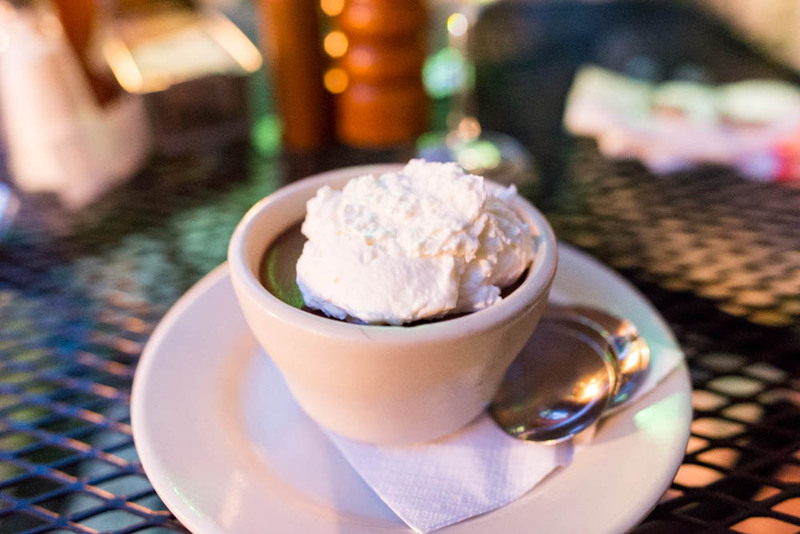 This little bowl of chocolate pudding was smooth and creamy. The chocolate flavor was deep and rich, not overly sweet. Isn’t it amazing how the stomach always seems to be able to find room for dessert? Not a bad way to start our culinary weekend in Charleston.